When kids grow veggies in their backyard, they can choose unusual varieties and help preserve heirloom seeds. 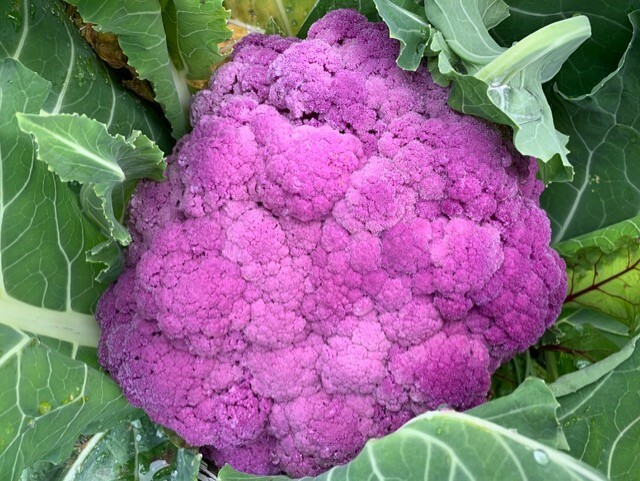 Cauliflower comes in many colors: snowy white, orange, green, and purple. Graffiti cauliflower is a variety of deep purple cauliflower that turns mauve after cooking. It has a mild taste with a nutty, slightly sweet flavor. It looks spectacular and tastes great in a raw veggie platter with a dip. Graffiti cauliflower has abundant health benefits in its strong antioxidant and anti-inflammatory nutrients, fiber, vitamin C, manganese, and potassium. The beautiful purple color is due to the antioxidant anthocyanin, which contributes to eye and blood heath and helps prevent cancer and arthritis. In Southern California, kids can plant this gourmet treat in the fall and winter as it tastes better after a light frost. Kids can plant Graffiti Cauliflower seeds in a raised bed filled with rich organic soil and compost and cover with a floating row cover, a light weight fabric that allows sunlight and water to pass through to protect the newly planted seeds and seedlings. Graffiti cauliflower intensify their shade of violet with exposure to the sun and need less wrapper protection than the white varieties. When the head is 6 – 8 inches in diameter, kids can harvest it by cutting the head just below the first set of leaves with a sharp knife. 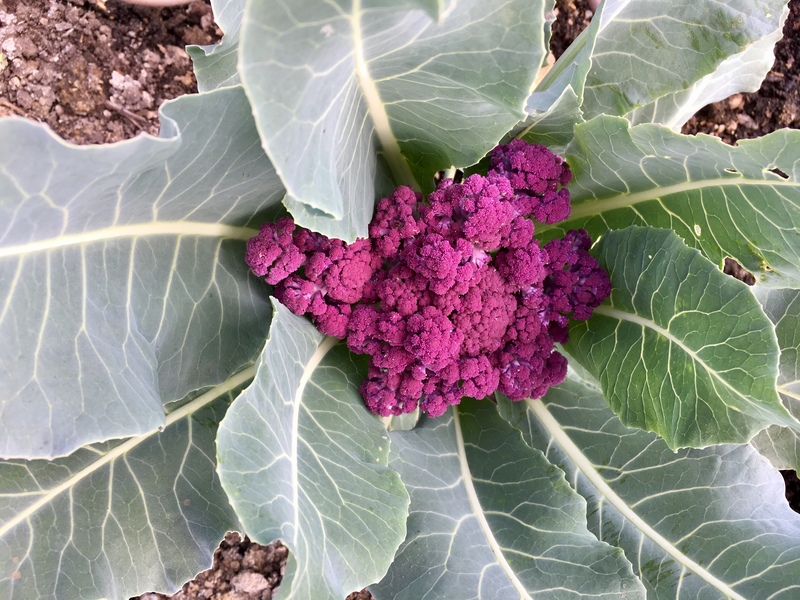 Kids can interplant their cauliflower with other crops and native flowers to attract beneficial bugs to control pests and create a balanced ecosystem.